Ideally, an addendum is in the form of a separate signed agreement that is attached to the original contract. Since the purpose of an addendum is commonly clarification, preparing a separately signed document helps to avoid any confusion. Without signatures included, it might appear to be just part of a rough draft of the original contract that contains provisions that ultimately were not included in the final agreement. There’s also the potential problem of fraudTop Accounting ScandalsThe last two decades saw some of the worst accounting scandals in history. Billions of dollars were lost as a result of these financial disasters. In this article, we look at the 10 biggest accounting scandals in recent times. Many of these scandals were a result of the excessive greed of the. One party could simply type up a document amending the terms of the contract – for instance, increasing payment to be received for goods or services – and attach it. Getting both parties to sign each addendum avoids that potential problem. An addendum is a convenient way to make amendments to an existing agreement. Business or legal contracts are often lengthy, complicated documents. 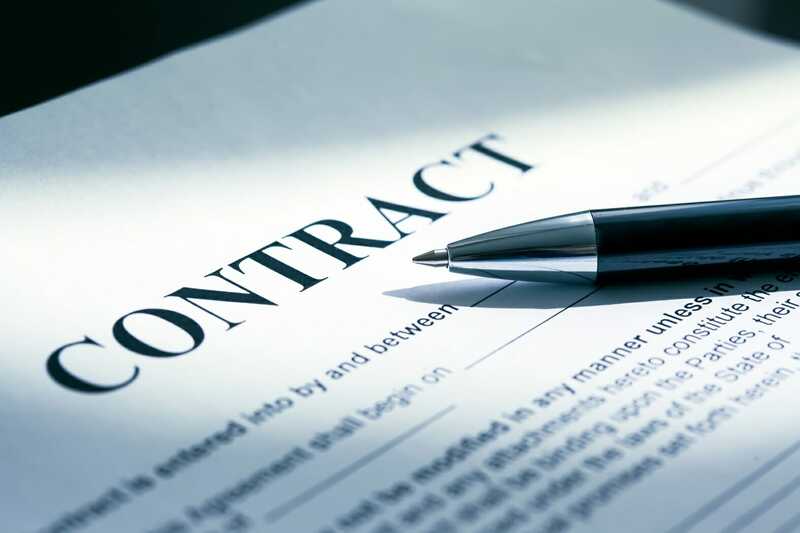 It would be time-consuming and tedious to rewrite an entire contract simply to add a short note of clarification or one or two additional performance clauses or terms of saleSale and Purchase AgreementThe Sale and Purchase Agreement (SPA) represents the outcome of key commercial and pricing negotiations. In essence, it sets out the agreed elements of the deal, includes a number of important protections to all the parties involved and provides the legal framework to complete the sale of a property.. It is much simpler and quicker – and less wasteful of paper – to just write up an addendum that is then signed and attached to the original contract. Real estateReal EstateReal estate is real property that consists of land and improvements, which include buildings, fixtures, roads, structures, and utility systems. Property rights give a title of ownership to the land, improvements, and natural resources, such as minerals, plants, animals, water, etc. sales contracts often come with multiple addenda that are added as the buyer and seller agree on additional terms of the sale. For example, the seller of a house may agree – after the original sales contract has been written – to include certain pieces of furniture for an additional specified sum. MortgageMortgageA mortgage is a loan – provided by a mortgage lender or a bank – that enables an individual to purchase a home. While it’s possible to take out loans to cover the entire cost of a home, it’s more common to secure a loan for about 80% of the home’s value. terms or the closing date for the sale are often amended in real estate transactions, with the change noted in an addendum. The additional information may be attached to a will if the person creating the will (the testator) decides to make changes in regard to either beneficiaries or the disbursement of items in their estate. Such changes can easily be noted with an addendum while leaving the majority of the will intact. A common reason to add additional information to a will is for the purpose of designating a beneficiary to receive an inheritance of the testator’s property that was left out of the original will. As a simple example, a testator may remember, after already completing their will, a coin collection that they own that they wish to leave to one of their grandchildren. The testator can easily make provision for the asset with an addendum to the will. Sales contracts may be amended with an addendum in any number of ways – such as changing the terms of payment, designating the manner and location for delivery of goods, or delineating additional services to be provided by the seller. An appendix contains supporting documentation, such as a bank statementBank Reconciliation Statement TemplateThis bank reconciliation statement template shows you how to calculate the adjusted cash balance using the bank statement and a company's accounting record. A bank reconciliation statement is a document that matches the cash balance on a company’s balance sheet to the corresponding amount on its bank statement. Reconci, but does not materially alter the terms of the contract. An annex provides additional information, often in the form of a table (such as a tax table) or a standardized form that supplements the contract. A rider is used to add specific provisions or conditions to a standardized contract. Riders are most commonly associated with insurance policies. They may either expand basic coverage (e.g., a homeowner wants a rider attached to their homeowner’s insurance to specifically cover a valuable jewelry collection), or limit coverage by excluding coverage for specific medical conditions. Schedules are a type of addendum that deals specifically with numerical information – such as a pricing schedule. Exhibits may be either an addendum, an appendix, or annex. Exhibits provide examples of standard forms or other information that helps one or more parties to a contract clearly understand their obligations under the terms of the contract. Source DocumentsSource DocumentsEvery time a business is involved in a financial transaction, a paper trail is generated. This paper trail is referred to in accounting as source documents. Whether checks are written to be paid out, sales are made to generate receipts, billing invoices are sent by suppliers, work hours are recorded on an employee’s time sheet – all the respective documents are source documents.